It is possible to pre-register online and receive the GOLDEN CARD, which offers free admission, as well as numerous advantages and special rates. You can pre-register on the website bimu.it and obtain your Golden Card immediately, directly at your e-mail address. 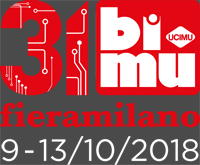 Besides permanent, free admission to 31.BI-MU/SFORTEC INDUSTRY, your Golden Card offers you several discounts and special rates at “partner” hotels, restaurants and shops, specified in the list www.golden-card.it. If you need more information or support, fill in the form and you will receive a complete and professional response to your needs. REQUEST INFORMATION Are you a journalist?